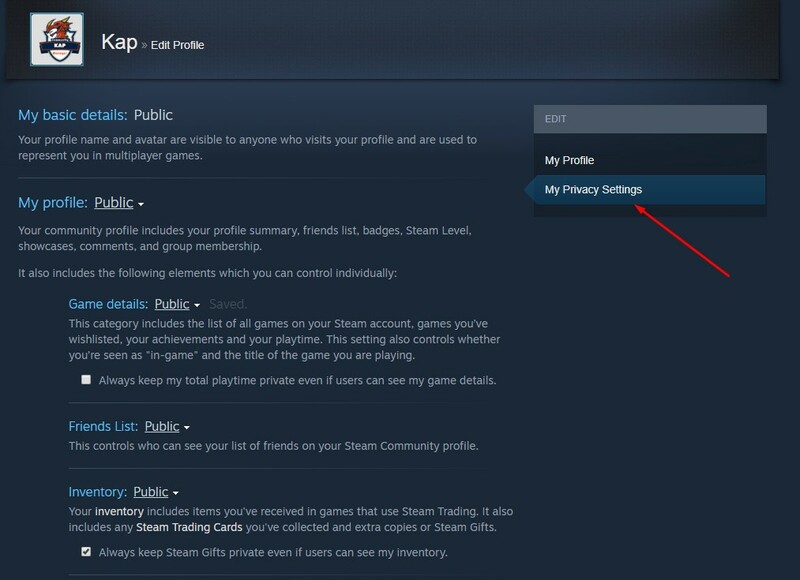 Open your steam profile (either through the website or in the client). 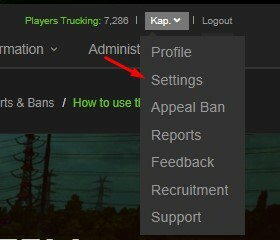 Make sure that you're signed in and click on the 'Edit Profile' button. Within the 'Edit Profile' menu, you need to switch to the 'My Privacy Settings' tab as opposed to the contrary. After that, simply use the drop down menu to change your profile to public. When you're in the 'Settings' area, navigate to the 'Linked Games / DLC' tab. Once there, click on the 'Check DLC' button and that's it for this step. The verification process can take up to 5 minutes and possibly even longer when the server is on maximum load, slow or just down altogether. For information regarding the TruckersMP servers, check the forums regularly and visit the official status webpage. 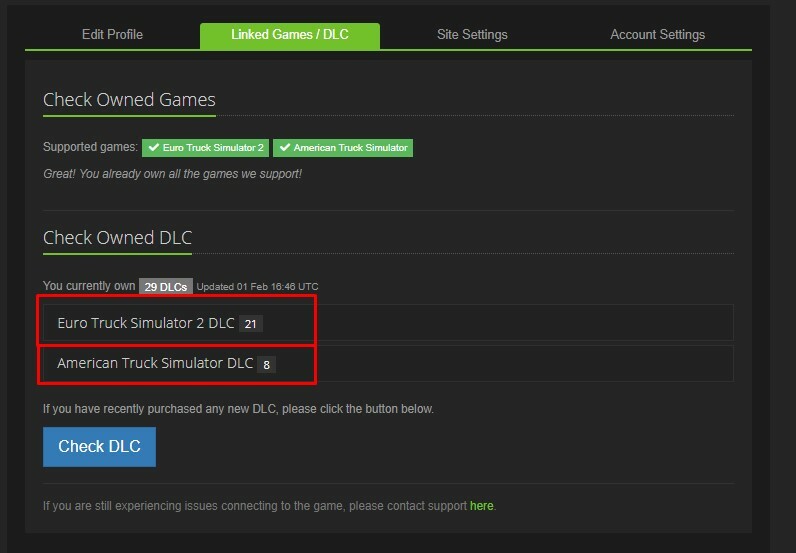 If it doesn't verify the DLC and you've checked the servers, there might be something else wrong with your account or the systems in general. In this case, I'd heavily consider contacting support in order to see if they're able to diagnose the issue.